With the end of summer comes a relief from the hot summer days here in Vegas. As you prepare for the fall season, you might be taking a look around your home realizing it needs a deep clean. The summertime is a busy season with lots of activity, kids home from school, and a host of parties. It is easy to accumulate dirt, debris, and clutter during this active time. Before the fall season hits, take the time to deep clean your home with these tips. Reach out anytime to learn more about how we can help you clean your home with residential air duct cleaning in Las Vegas. The first thing you should do when cleaning up after a long summer is rid your home of clutter. Go through each room and take note of what you need and what can go. As you work through the rooms in your home, one at a time, bring along a bag for trash, a bag for donations, and a bag for items you might sell. Organize anything you are keeping by putting it away in its place. If you find you have too much stuff to fit into your current shelves and closets, consider purging what you don’t need or investing in new organizational furniture. By slowly organizing each room, you will find that your house looks cleaner and feels more open. Next, take the time to move all the large items in your home, such as couches, chairs, bookshelves, and appliances. Move them out of their place so you can clean behind them and pick up any clutter or debris that has fallen out of reach. 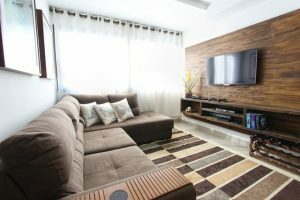 You might be shocked to see how dirty your home is when you actually move around the furniture in the house. This task can be time consuming and exhausting, so try to tackle one room a day. After you have cleaned up the hidden spaces of your home and organized all your belongings, invest in a quality carpet cleaning. Your carpets trap a large amount of dirt and debris, especially during busy summer months when people are trekking in and out of the house. Vacuum each room thoroughly and then steam clean each carpeted space. Once you have your carpets clean, consider instilling a “no shoes in the house” rule. This will help cut down on how much dirt is tracked into your home. 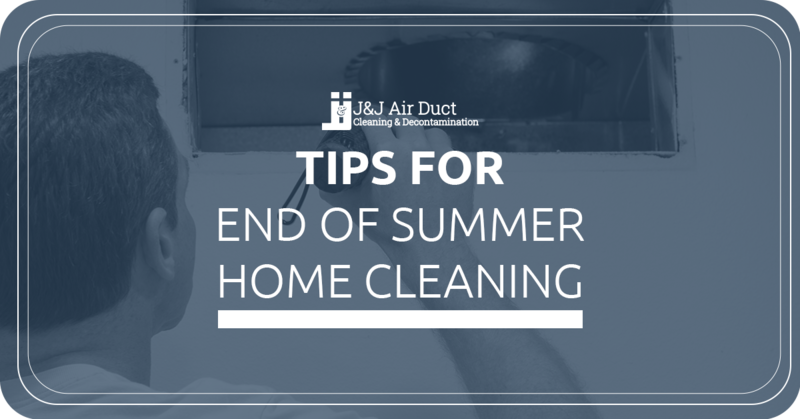 Now that your home is in a cleaner state than before, take the time to schedule residential air duct cleaning services. It might surprise you how much dirt accumulates inside your air ducts. This dirt can cause you to suffer from allergies and can make it difficult for you to keep your home dust free. A thorough, professional air duct cleaning should include not only cleaning out the insides of your air ducts, but should also include a deep cleaning of all the major HVAC filters, components, and vents. This will lead to much cleaner air in your home and a fresh feeling for your home this fall. Ready to schedule air duct cleaning for your home? Reach out to the team at J & J Air Duct Cleaning & Decontamination for residential air duct cleaning in Las Vegas.